New York writer and actor Michael Walsh saw a story waiting to be told in his experiences in Gander after his plane was stranded in the Newfoundland town following 9/11. Between Takeoff and Landing tells passenger's tale of being stranded in Gander, N.L. It's been 10 years since Michael Walsh was in Gander, but the New York writer and actor has been recreating his visit on stage ever since. 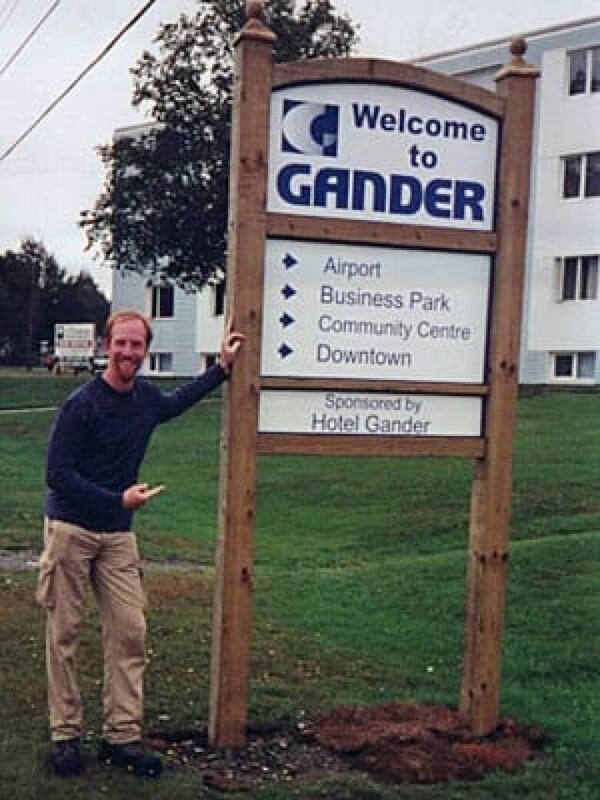 Walsh was one of 6,700 "plane people," the airline passengers stranded in Gander and nearby Newfoundland communities after U.S. airspace was closed on Sept. 11, 2001. From his experiences in the town, the confusion of the time, and the kindness and generosity of Newfoundlanders who came to the their aid, Walsh saw a story waiting to be told. There were early hints in the interactions with the kind folk of the town and with his fellow Aer Lingus passengers who were put up in the Elks lodge in Gander. "I remember during the time, things about it that seemed theatrical, just the story itself." After he finally made it home to New York, people kept asking him: Where were you? What happened? But "there was no way to give them the short version." So he typed up a long email and sent that to a couple of friends. "I was beginning to see it more and more as a story." And it was a story that wasn't really known in the U.S., where the focus was on what happened in New York, Washington, D.C., and in the sky over Pennsylvania. Still, how exactly would he tell it? An opportunity to attend a writing workshop for solo performance gave him the answer. Members of the workshop were giving a little presentation. "I remember sitting there watching it, thinking this is how I could do it." To watch excepts from Between Takeoff and Landing, click here. He talked to the woman running the workshop, joined her group, and started writing. 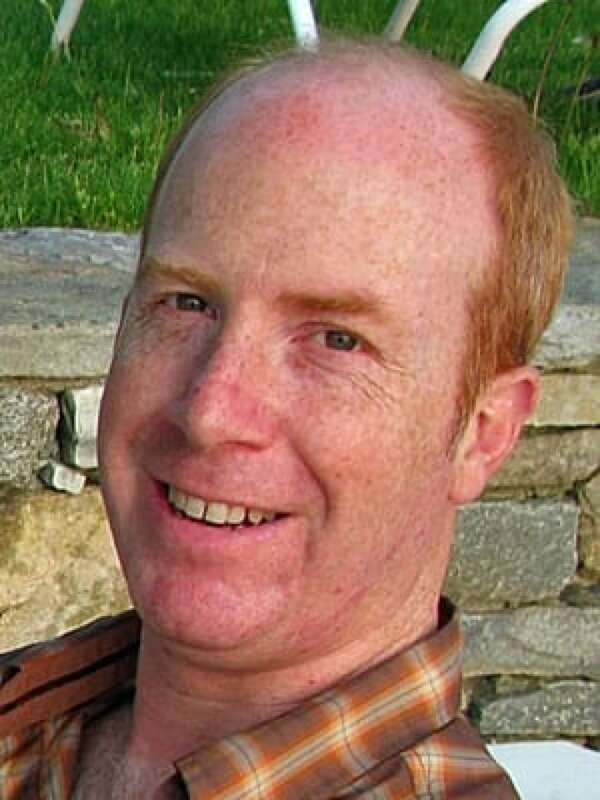 A year and a half later, he had a script for Between Takeoff and Landing, the solo show he has taken to fringe theatre festivals across Canada and the U.S.
For Walsh, however, the show is more than a theatrical telling of his tale, laced with poignancy and humour. It's an opportunity to make a statement. "During the time I was writing it, it was a very angry time in the States," he says. "It was very important for me to make the point that people outside of the United States really stepped up and welcomed everybody and were so kind. Because I think there was this feeling at the time that the world was against the U.S."
In his show, Walsh takes on the personas of six main characters, some based on people he met, others created through a combination of personalities. "The major plot centres around everyone wanting to get home." There is some humour, and more than one reference to the Irish whisky and Irish music that helped his fellow passengers pass their time. Walsh was acutely aware of the tragedy of the events, which was brought home by the fact that among the Aer Lingus passengers were the parents of a New York City firefighter who were waiting to hear his fate. But Walsh did not feel the story of Hannah and Dennis O'Rourke, whose son Kevin died in Tower One of the World Trade Center, was one to include in his piece. "When I began writing the play, I didn't really feel that I had the right to write about that." Walsh hasn't been back to Gander since September 2001, although he says it is his dream to return there with his wife and daughter. He's tried to make some inroads into having the show performed there, but so far, no luck. He predicts he would find a warm and welcoming audience, even though he says he might be a bit nervous taking the show to its ultimate home. Audiences have always had a warm response, says Walsh, who took it to the Capital Fringe festival in Washington, D.C., in July. A movie script based on his story is in development. For Walsh, 9/11 was, in a way, "a strange gift," and an opportunity to go out and tell the story of Gander. "It's an impressive thing to be part of, the way the people of Gander just really mobilized and took care of people. "It's the kind of thing that you would hope that if it happened at your doorstep, that you would do, that you would want to do."